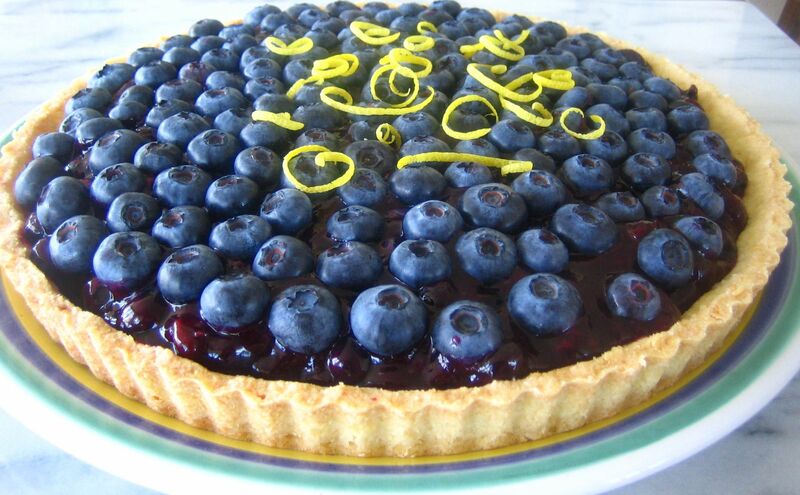 This blueberry tart recipe precipitated the invitation for me to make home-style desserts for John Bishop in 1986. It was later featured in the menu that was served to Bill Clinton and Boris Yeltsin at the Vancouver Summit in April, 1993. Rumour has it that the blueberries were flown in on Airforce One since, at that time, fresh blueberries were not available year-round here in Vancouver. 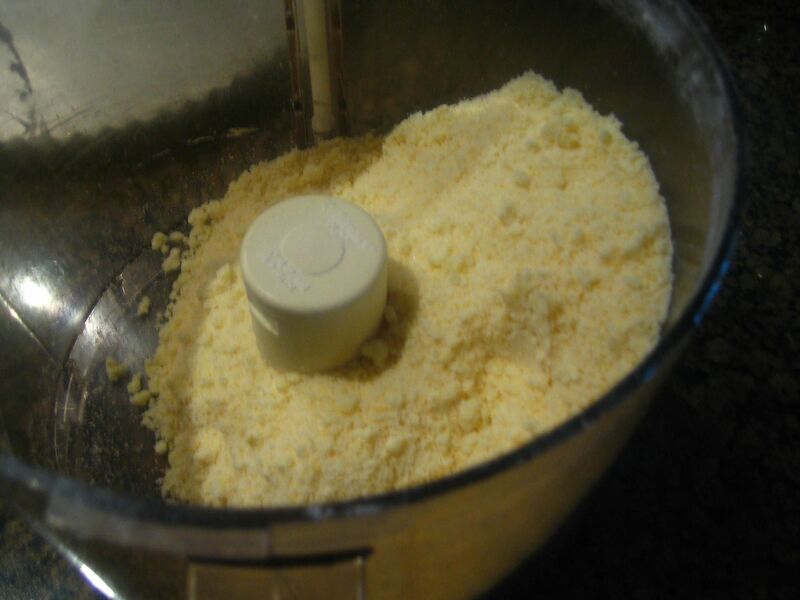 Combine flour and sugar in food processor. Add butter cubes and egg yolk and pulse several times until mixture looks like fine breadcrumbs and comes together when pinched between your fingers. Press into a 8-9″ fluted springform pan or regular pie plate. Bake at 350ºF until golden brown, about 20-30 minutes. Timing will depend on the kind of pan used. Cool on rack. Combine sugar, cornstarch, lemon peel and cinnamon in a small bowl. Combine 3 cups berries and water in heavy large saucepan. Cover and bring to a bowl. Mix in lemon juice, then sugar mixture. Boil until thickened, stirring constantly, about 3 minutes. Cover surface with plastic wrap. Cool completely, stirring occasionally. Reserve 1½ cups of uncooked berries. Stir remaining 2 cups of uncooked berries into cooked mixture. 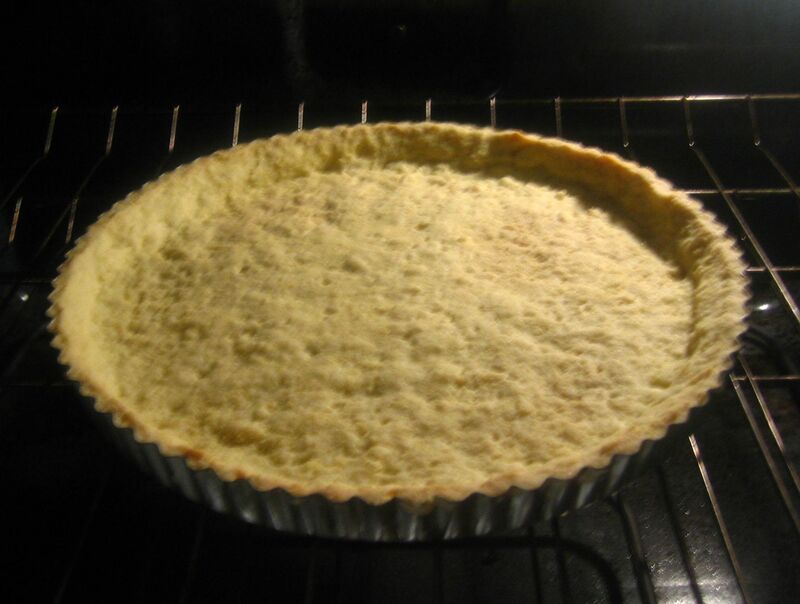 Spoon into crust, mounding in centre. Top with even layer of reserved berries. Garnish with lemon peel and sprinkle with icing sugar. Refrigerate 30 minutes to 2 hours. Serve with whipped cream.